The Pinkpop festival in the Netherlands ended in a horrible drama as a collision between a white Van and a group of pedestrians in Landgraaf left one person dead and several others wounded. It is at the point unclear whether the white Van that caused the accident drove into the festival crowd on purpose. 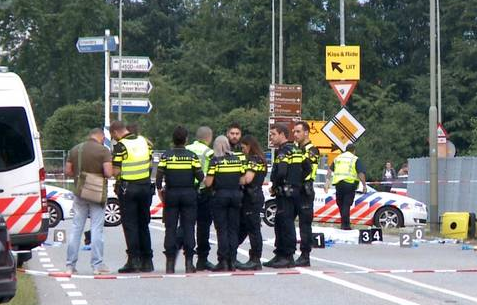 The white Van fled after the collision and Dutch police are currently trying to locate the driver. According to emergency services, many witnesses were present during the moment of collision. The vehicle (probably) has a Dutch license plate. A Burgernet message reports that the white van is possibly a Fiat Doblo, with '257' in the license plate. People who witnessed anything have been asked to contact the police. The incident took place 4 am on the Mensheggerweg near Camping B of the Pinkpop festival. The white Van collided with pedestrians near the entrance to the campsite. According to the police, people walked on the street when they were hit. Dutch emergency services assume that the injured are all festivalgoers. The three-day Pinkpop festival had its last day yesterday already, but many visitors stayed overnight at the campsites on the site. The organization of the festival said via its Facebook page to be 'deeply shocked' about the incidents. The wounded were brought to hospitals in nearby Heerlen and Maastricht. Another bus of peace or an (((accident))) like in Moscow this weekend? Any Bets of what religion of Peace the driver was? YES! I notice the total absents of ANY driver description, which is usually the PC rule for cases like this. Whenever there’s no description of the mass murder we know automatically it’s: a mooslime terrorist of color.